Douch Family Funeral Directors have won a prestigious national award for customer service in relation to its Dorset Funeral Plan. The family business, which has eight branches across the county, launched the plan in 1999 and it has gone from strength to strength. The awards were organised by Funeral Planning Services, which provides administrative and investment services associated with pre-paid funeral plans. Nick Douch, managing director of the Dorset company, was presented with the trophy at a glittering ceremony held at The Belfry in Sutton Coldfield. Award organisers quizzed customers of various products and the Dorset Funeral Plan came out clear winners in the Customer Service category. Respondents said they were given a helpful and informative service by staff at Douch Family Funeral Directors. They said that this made making arrangements easy and provided peace of mind that final wishes were set out clearly – and paid for. Pre-paid plans allow funeral arrangements to be made many years ahead of the time they are required – and they are also paid for at today’s prices. Nick Douch said: “Our funeral plan is incredibly flexible and allows people to organise and pay for their own funerals. “It is localised to Dorset and is one of very few that can include woodland burials, a major area of growth within the industry. “We introduced this plan in 1999 although we had been supplying similar arrangements for a number of years before that. “Funeral plans are a great way to achieve peace of mind, but that can only happen if the customer is happy. One person who completed their questionnaire said of The Dorset Funeral Plan: “Very comprehensive good value and provides peace of mind”. 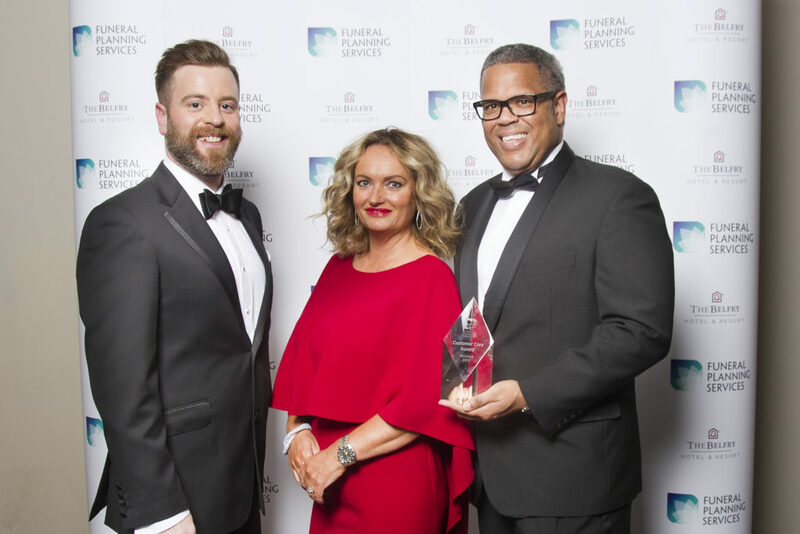 Nick, together with his wife Donna-Marie, received the award from Funeral Planning Services’ Chief Executive, David Taylor.